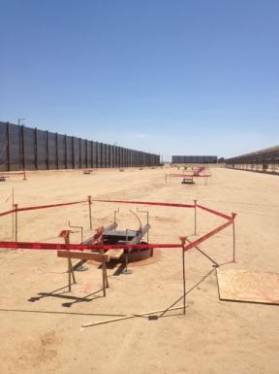 In mid-2012, the contractor performing the installation and erection of the Harper Lake Solar Field Test Loop outside Barstow, California found themselves in a bind and contacted Portland Bolt. 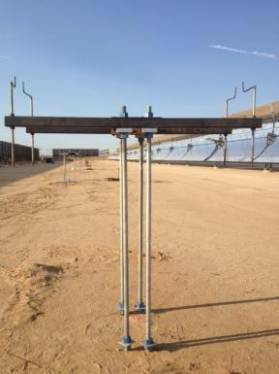 The project had originally been specified with metric anchor rod assemblies, but the delay involved with importing the metric rods from overseas was in danger of throwing the job off schedule. 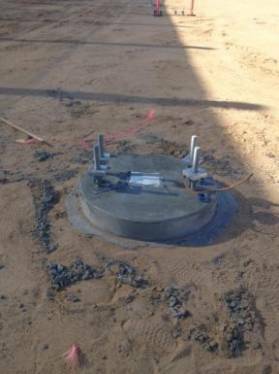 Portland Bolt worked with the contractor and the engineer in Germany responsible for the project to come up with an imperial equivalent that could be rapidly manufactured and galvanized in our facility and delivered on site by the time critical date needed to keep the project on schedule. 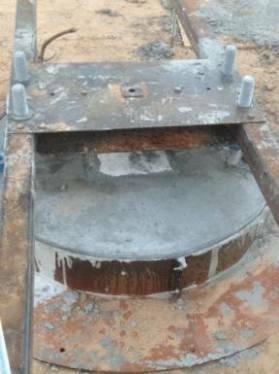 The anchor rod assemblies which included custom square plate washers that were fabricated on Portland Bolt’s iron worker were delivered on site and tied to reinforcing steel and a pre-manufactured bolt template. 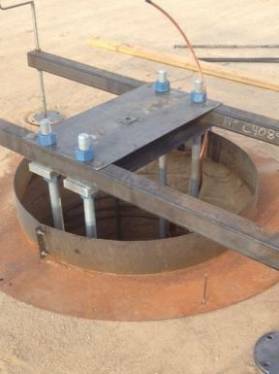 The entire assembly was then placed in a drilled shaft that was filled with concrete to become the support caissons anchoring the solar collector mirror assemblies. 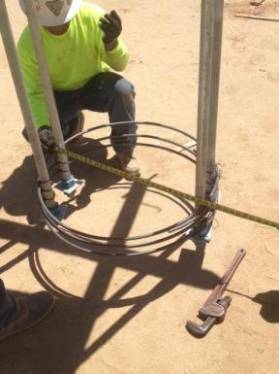 After 100 years of experience as a custom anchor bolt manufacturer, the contractor knew that they could rely on us to provide the correct products, that the order would arrive on time, and that all materials would come with a full and complete certification package. Do you have a project with a time critical delivery schedule? Contact one of our experienced estimators today to discuss how we can help you out!